Sleek’s new launches pretty much scream CHRISTMAS at me. The collection is aptly called 24K gold and makes the most of high shine, metallic finishes in a series of precious metal inspired shades. 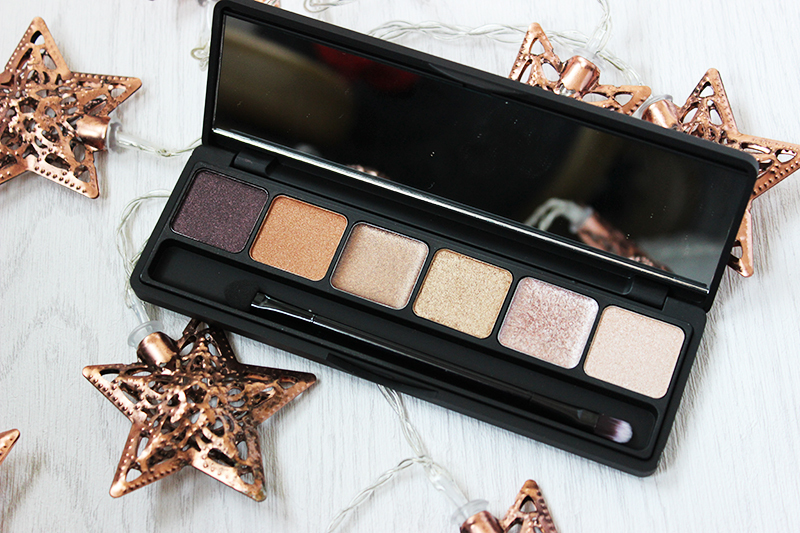 They’ve taken a step away from their normal i-divine palettes with this range and created a slightly smaller, slimmer ‘Gold Standard’ i-lust palette which features six shades in a mix of cream and powder formulas. Each shade has been inspired by a famous fashion designer (say hello to Coco, Vera, Louis et al) and covers a complete spectrum of shades from a soft champagne right through to the most beautiful coppers and bronzes. 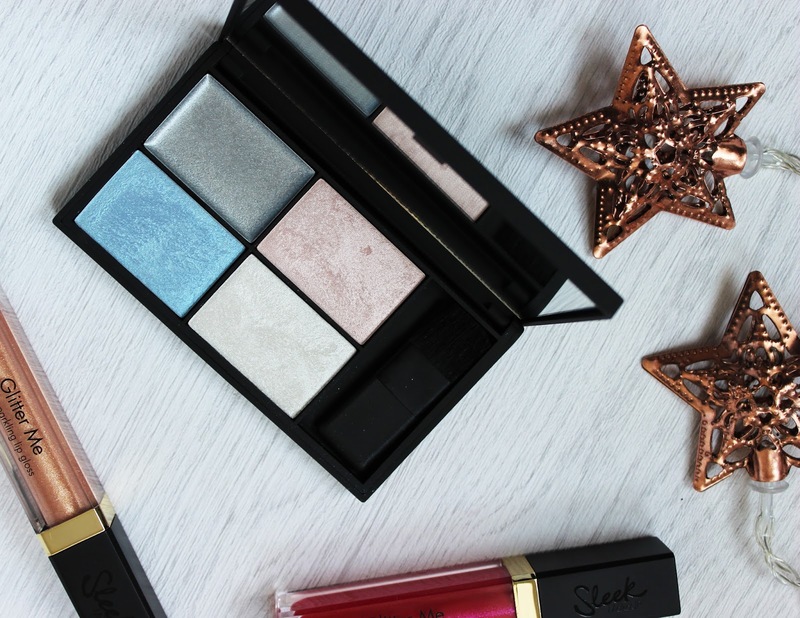 As always, I’ve been really impressed with the pigmentation of these shades – Sleek just seem to get it so right when it comes to eye shadows! The cream textured ones do crease a bit, so I’d recommend adding a primer under these to help even them out, but that does tend to happen with a lot of cream based formulas. Other than that, they all blend beautifully and last well over 8 hours before any fading starts to happen. The Midas Touch highlight palette features one cream shade and three powders, all of which are surprisingly pigmented (use a very light hand here). 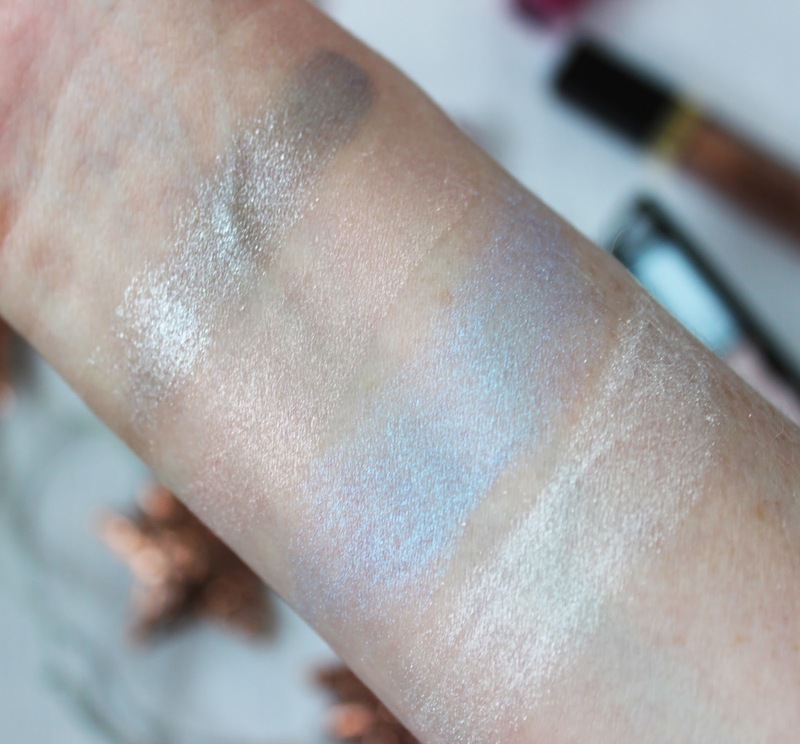 This isn’t your ordinary set of highlighter shades – yes, you’ve got the champagne that seems to be universally flattering, but they’ve also added one which has a blue base and is something I’ve never seen before in a highlighter. On me, it looks a bit weird, however I reckon on darker skins it would look absolutely stunning. For the moment, I’ll be using this as an eye shadow instead and sticking with the safer shades in the palette, but I’d be interested to see this used on different skin tones. Last up, there are three lip glosses to choose from – all are pretty sheer, but have a seriously high shine finish to them without being overly sticky. 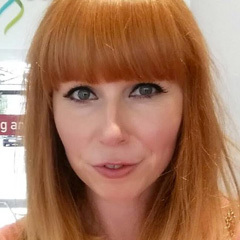 There are also little flecks of glitter/gold in them which adds a different dimension to them and at around £5 each, are incredibly affordable for the party season. One thing I’d love Sleek to do a little more would be to experiment a little more with the outer packaging. It’d be great to see a break away from their matte black for seasonal collections like this and go to town on something more creative. 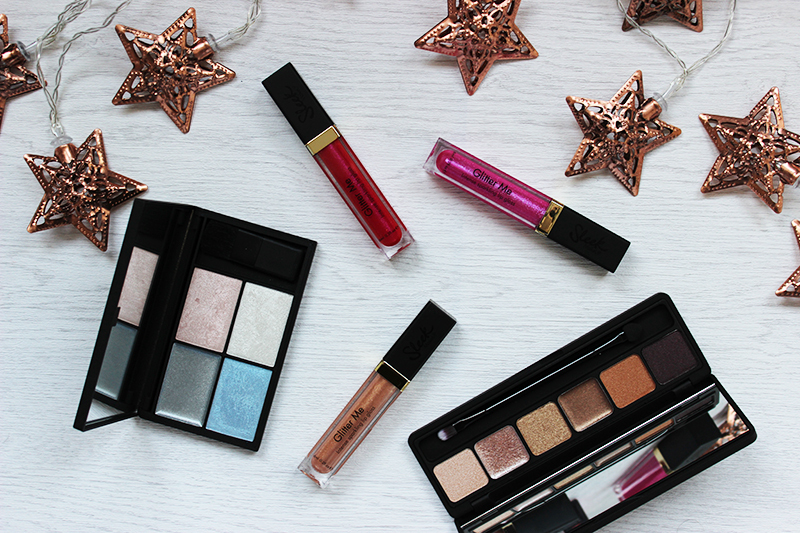 That *tiny* moan aside, I think this is a fab collection and I’d highly recommend adding at least one of the palettes to your shopping basket asap. The 24K Gold collection can be found on Sleek counters at Boots and Superdrug, plus online via their websites. Do you like the look of the new products from Sleek?